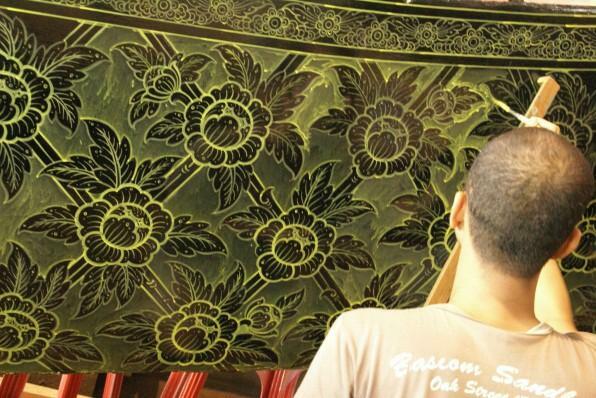 Applying yang rak or rak nam kliang (lacquer) as the main material can be found in the minor arts, decorative arts and fine arts. 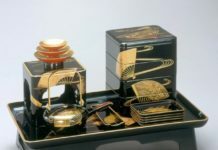 Lacquerwork in Thailand includes complete gilding, complete gilding with vermillion, gilding and glass inlay, gilding with perforations, gilded black lacquer, gilding with paint mixed with lacquer, krueang kern (lacquerware), glass inlay and mother-of-pearl mixed with glass inlay, all of which are fused with traditions and wisdom of Thai people for hundreds of years. Representative of the meticulousness of Thai crafts, lacquerwork serves both the Buddhist faith and the monarchy and can be found at temples and palaces, in Thai architectural details such as cho fa (gable apex), bai raka (sloping edges of the gable), hang hong (lower finial), nak sadung (support structure in the shape of serpent), krueang lamyong (set of roof decorative elements); and in movables such as busabok (movable throne) and the base of chukkachee (plaster base) for placing Buddha statues in ubosot (ordination hall) or vihara (Buddha image hall). Also, lacquerwork helps preserve the objects because lacquer protects materials such as wood, plaster and metal from humidity and heat, enabling it to last over the centuries. 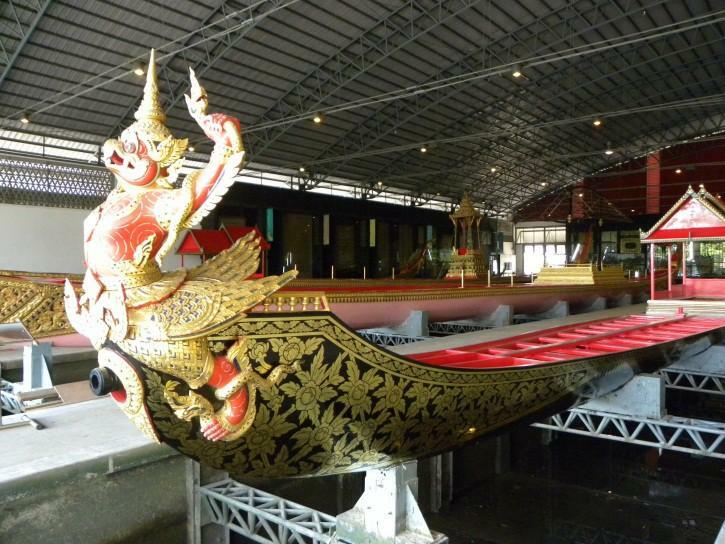 Lacquerwork plays an important role in creating faith and respect in Buddhism and the monarchy but ordinary people. Traditionally, there are four steps to make lacquer surface. The first layer is a residue of raw lacquer. 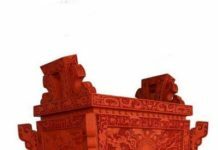 The next step is a course of undercoat (samook), which is a mixture of particles of minerals or clay and lacquer water on the surface. It is followed by applying a fine undercoat (samook on), which is normally a mixture of ground marl or clay and lacquer water and finishing by clear lacquer. However, it depends on the craftspersons how many layers of lacquer are applied. Then the surface is made matte for decoration with a wash and wipe by a clean cloth. Nowadays in Thailand, lacquer cannot be produced due to the lack of Red zebra wood (Gluta usitata (Wall.). Therefore the use of synthetic lacquer are often found. At present craftsmen or artisans are trained to serve royal and religious works. 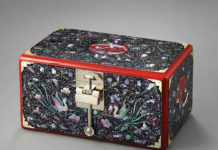 There are also artisans who produce lacquer work commercially.